Small is the new significant. If we want to create change we need to focus on the small. The vital few behaviors that can produce the biggest results. I think this is vital in our over extended and over taxed organizations if we want to have significant results from our employee engagement initiatives. I will focus a future post on the specific possible vital behaviors of employee engagement but before I do this I would like to focus on the power of vital behaviors. Focus on vital behaviors. As a facilitator for Shared Visions delivery of Vital Smart’s The Influencer: The Power to Change Anything, in Saskatchewan and Manitoba – Canada, I have become quite enamored with the concept of vital behaviors. If we want to influence something we need to focus on using personal, social, and structural motivations and abilities applied not to results but to the few key behaviors that will make those results occur. Influencing 2 or 3 vital behaviors gives us focus and leverage. But what are the vital behaviors? The challenge is to determine the vital behaviors for the result we are trying to achieve. For example if you declare that you will create a 10% increase in employee engagement by May 15, 2011 you want to determine what are the vital behaviors that could make this occur then stack the deck to ensure this happens. You don’t influence the result, you influence the behaviors. You also don’t influence all the behaviors you influence the vital few that will make the biggest difference. As I have been declaring for the past 5 years: small is the new significant! Take the course and be mindful. I encourage you to read The Influencer or take the course to learn how to determine vital behaviors and I encourage you to start paying close attention to vital behaviors in all facets of your life. Run with it. For example a vital behavior for me to jog is to go out at 6:05 a.m., 3 times a week, with 2 of my neighbors. I have learned this mostly through trial and error and experience. 59 Seconds. It is imperative that you do your research to see if someone else has already determined the possible vital behaviors for a change you want to create. 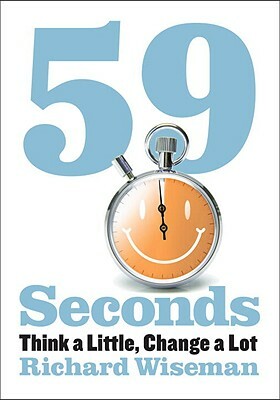 This brings me to Richard Wiseman’s insightful book, 59 Seconds: Think a little, change a lot. In the book, Richard focuses on happiness, persuasion, motivation, creativity, attraction, relationship, stress, decision making, parenting, and personality. The strength of the book is the very solid foundation of experimental psychological research Richard draws upon to determine vital behaviors to influence these areas. Richard makes this a very compelling read and distills his conclusions to 10 techniques in 59 seconds! Sample Vital Behaviors. Here is a sample of some of his vital behaviors from his book. I encourage you to read the book to sharpen your focus on how we use research to determine vital behaviors to create change. Happiness: Listing 3 things you are greateful for in life or 3 events that have gone well over the past 7 days can increase happiness for about a month or even one small act of kindness can boost happiness. Mirror, mirror on the kitchen wall. Reduce consumption of unhealthy foods by hanging a mirror in the kitchen. This resulted in a 32% reduction in people’s consumption of unhealthy food. A light touch. Increase agreement. Lightly touching people on their upper arms makes them far more likely to agree to a request and to influence the status relationship between 2 people. Visualize do versus done. If you visualize yourself taking practical steps to achieve your goal you are more likely to succeed than someone who visualizes outcome. What’s next? 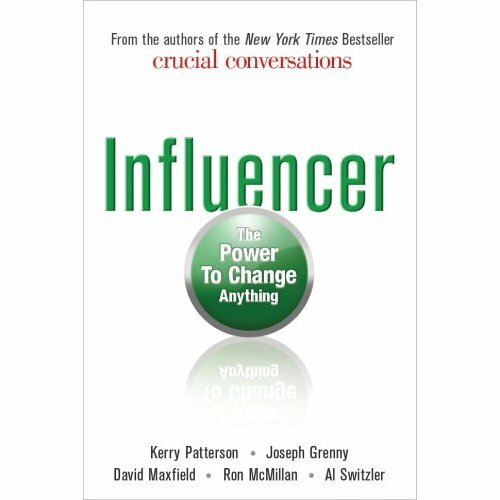 If you are involved in create change around employee engagement I strongly encourage you to take the 2-day Influencer Course to begin the process of designing and developing your influence. I encourage you to be on the lookout for vital behaviors around any change and to read 59 Seconds to not only learn about some powerful and specific vital behaviors but to learn how to think about determining vital behaviors and how to use research to make your work more robust. Future post. In a future post I will focus on the vital behaviors for employee engagement. David Zinger, M.Ed., is an employee engagement writer, educator, speaker, coach, and consultant. He offers exceptional contributions on employee engagement for leaders, managers, and employees. David founded and moderates the 2415 member Employee Engagement Network. His website offers 1000 posts/articles relating to employee engagement and reached over 1,000,000 page views in under 4 months in 2010. David is involved in the application of Enterprise 2.0 approaches to engagement and the precursor, creating engaging approaches to communication, collaboration, and community within Enterprise 2.0. Your description of stacking the deck with vital behaviors that will help you achieve a future goal reminded me of a ‘tool’ called backcasting. It might be a highly effective way of figuring out the vital behaviors you need and when you need them to happen. It’s a very in-depth look at the approach — skip to slide 18 for the meat of how to use it. Think it might be useful in this context? Thanks for suggesting the book. I’m sure it’s insightful. As mentioned, we need to focus on the small in order to create change. Employee engagement will happen only when change is created. It all starts with creating the need for change. Employees should be encouraged to feel the ‘romance of tomorrow’ – the future image of a company. After which a culture of change needs to be created. This can be accomplished by encouraging trust through transparency. 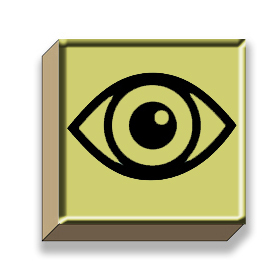 Then a structure of change needs to be built by inverting the organizational hierarchy. This involves putting the employee in the ‘value zone’. Finally, the responsibility of change is transferred to the employee in the value zone. These tenets have been mentioned in Vineet Nayar’s book ‘Employees first, Customers second’.